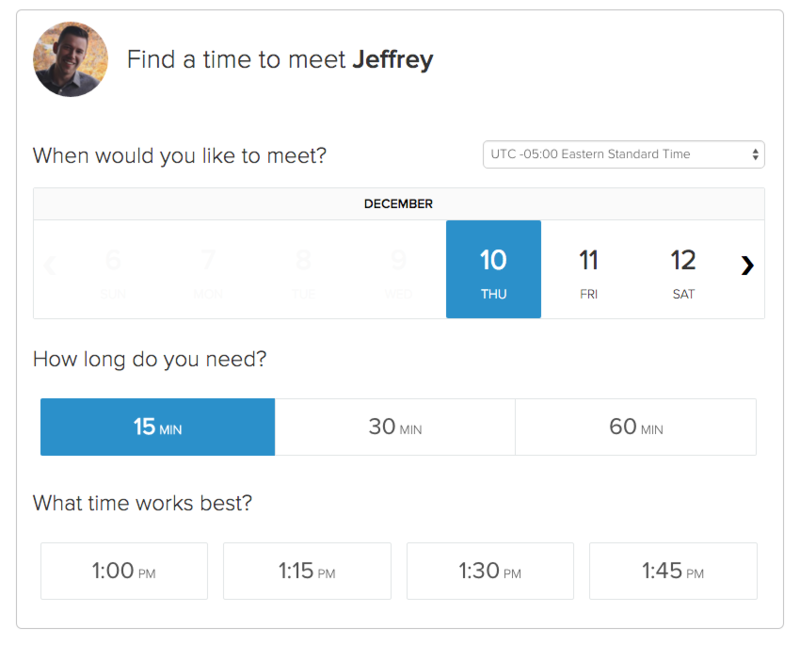 Scheduling demos, calls, and appointments shouldn’t be so hard. Meetings, a new feature of Sidekick for Business that works with Google Calendar, helps make connecting with prospects (and generating new leads) fast and easy. Meetings integrates with HubSpot CRM & Google Calendar to give you a personalized page where your prospects and customers can see your availability and book a meeting - all without the usual email back and forth. Set your availability - Sidekick Calendar gives you full control over who can book you, when, and for how long. Share a personalized booking link - Share your personalized link with anyone who you want to book a meeting with and let them choose from your available times. Share your link individually, or put it in your email signature to let anyone book you. Integrate with Google Calendar - Meetings integrates with Google Calendar. New meetings are automatically added as appointments, and you’ll receive an email heads up. Create leads in your CRM - Meetings automatically creates a new contact record in your CRM for anyone who books a meeting if one doesn't already exist. 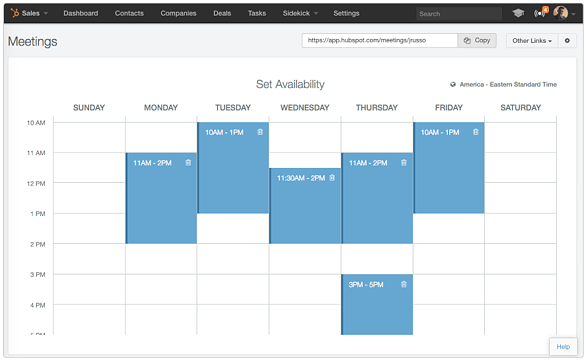 Set your availability from the calendar view in Meetings. Anyone who you share your personalized booking link with will see your availability and be able to pick a mutually agreeable time, and send an invite to both parties. Meetings is a feature of Sidekick for Business that works with Google Calendar. If you are already using Sidekick for Business, you can log in and try it now - Just look for "Meetings" in your navigation. If you aren't yet using Sidekick for Business, you can learn more here.